You’re busy and the last thing you likely want to be doing is researching new diesel fuel delivery companies. We get it. Having been in the business of diesel fuel delivery for four decades, Fleet Fuel thoroughly understands the needs of a company like yours. We provide effective solutions to help reduce your frustration, and save you Time AND Money. Eliminate “shrinkage” with metered delivery tickets. Eliminate tank monitoring and tank maintenance costs. Who can benefit from Fleet Fuel’s diesel fuel delivery service? Fleet operators facing costly upgrades of in-ground tanks. 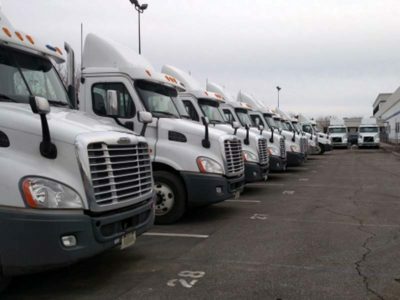 Fleet operators frustrated with truck stop fuel of inconsistent quality and wide varying prices. Fleet operators who have upgraded their tanks, but want to eliminate the delays at the Diesel pumps. Any user of Diesel fuel who is not completely satisfied with the fuel quality and service provided by their present supplier. What can Fleet Fuel do for my business? Eliminate the need to invest in an expensive tank upgrade. Eliminate the headaches arising from using truck stops. Have your employees start the day with a vehicle ready to go. Provide fuel use reports and MPG reports. Turn time spent in refueling into productive time. What is the true cost of refueling my vehicles/fleet? If you operate a medium to large truck fleet, much of your time and money is spent on constantly refueling those vehicles. It’s hard enough just trying to keep your equipment operators productive. What if we told you there’s a better way? Our on-site diesel fuel delivery service helps you turn that ongoing hassle into an automated process, freeing you up for more important tasks every day. Whether you refuel your vehicles at your own pumps or at a truck stop, your business is actually losing money each year. Assume that you have 100 trucks refueling 3 times a week. With drivers pay and benefits at $25 an hour, it’ll cost you $130,000 a year in addition to the actual cost of the fuel. If each fueling in this example averaged 50 gallons, the TRUE COST of this fuel is $.16 HIGHER than the price shown at the pump. How can I track fuel deliveries and prevent oversight? Make your day a bit easier. Our management reports help you reduce your office work and focus on what’s most important to you. Each delivery is recorded by a Metered Ticket with exact gallons per vehicle noted. Computerized Management Reports are available to all our customers. Other purchases factored into reports. Reports available weekly, monthly, quarterly, or as requested. 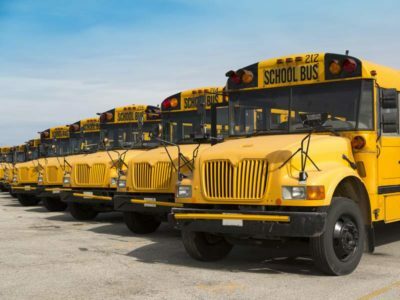 Established in 1979, Fleet Fuel specializes in direct diesel fueling of truck fleets, bus fleets, off-highway equipment, and railroad and marine equipment, and bulk delivery of commercial heating oil and diesel fuel. 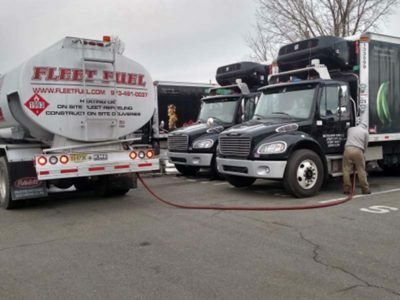 We deliver diesel fuel and commercial heating oil to businesses, agencies, worksites, and warehouses throughout New Jersey, New York City and Pennsylvania. Our services offered are always inclusive of all charges, and there is never any premium or upcharge for any night, weekend, or holiday work. So what’s important to you? Reduce wasted time and manpower. Your next step is simple. Contact us today to discuss how our on-site diesel fuel delivery service will help you stay on track and focus on the important things. Please call us today at (973) 491-0037 or fill out the contact form below. We look forward to speaking with you. throughout New Jersey, New York City and Pennsylvania. Fully licensed and insured for your protection and peace of mind.